We all know that walking is a great way to stay healthy. But as we age, we sometimes become more sedentary. Dami Roelse wants to keep us moving for our health, no matter how old we are. Born and raised in Holland, Dami immigrated to the U.S. in 1973 after a year of travel through the Middle East and Asia with her belongings in a backpack. In the U.S., she settled on the West Coast and lived a country life. Dami lost her heart to the grandness of nature on treks in the Swiss Alps, the Himalayas, and eventually the place she now calls home, Southern Oregon. After raising a family, and a career in mental health with high risk youth, Dami has turned to writing and finds creative inspiration while walking, hiking and backpacking. Dami is passionate about helping women change their car mindset and become walking women. 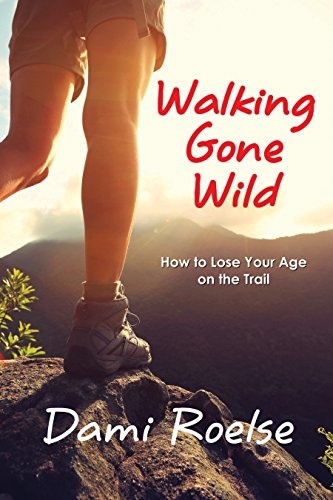 Walking Gone Wild: How to Lose Your Age on the Trail (Fuze Publishing), is an inspirational book about walking, hiking and backpacking for women 50-plus. Click to listen to her interview with Woman Around Town’s Editor Charlene Giannetti. Click on the book’s title or cover to purchase.